The alchemical process, according to Zosimus of Panopolis, the foremost of the Hellenistic alchemists, and who lived at the end of the third and beginning of the fourth century AD, “is the Mithraic Mystery, the incommunicable Mystery.”(i) However, alchemical teachings could have no known association with Persian Zoroastrianism. Therefore, what does this quote tell us about the nature of Mithraism, and its connection to alchemy? 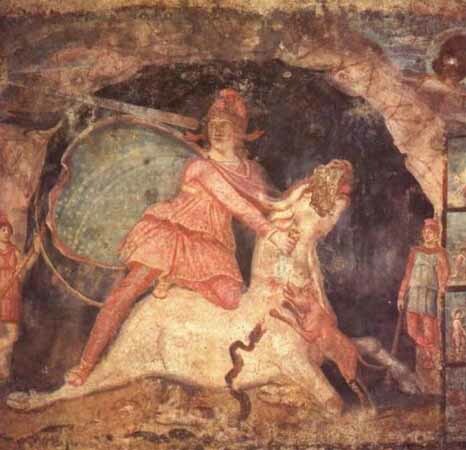 Although it contradicts the opinions of modern scholarship, Mithraism in Roman times was a cult regarded as preserving the wisdom of the “Magi”, having been founded originally by Zoroaster, as early as before the Trojan War. This opinion was to some extent promoted by Franz Cumont, who basically single-handedly founded the study of Mithraism, though today scholars of the subject have essentially rejected his thesis. As scholars maintain, there is very little evidence to maintain that Mithraism derived from Persian Zoroastrianism, but this was not the basis of Cumont’s theory. Rather, Cumont had maintained that the early strata of the cult’s doctrines may have been formulated by a group of “heretical” Magi, which he refers to as Magussaeans, who inhabited Asia Minor, and which were by them imparted to the Greeks. In this cult of theirs we find teachings strikingly different from mainstream Zoroastrianism. Rather, these reflected a combination of Zurvanite Zoroastrianism and “Chaldean” or Babylonian astrology and magic. It was this creed, when brought to the Greeks of Asia Minor, with the advancing Persian armies in the sixth century BC, that contributed to the emergence of Greek “philosophy” and the Orphic cult of Dionysus. 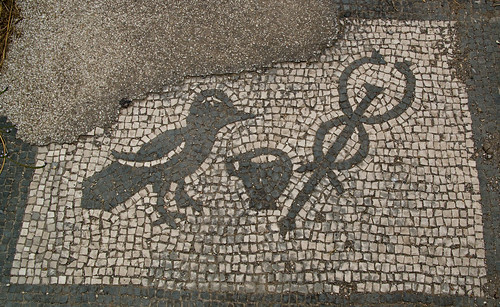 In the Hellenistic Age, it was the continuing presence of numerous Magian influences at the city of Alexandria in Egypt, with the inclusion of Greek philosophy, that contributed to the outgrowth of Neoplatonism, Gnosticism, and Hermeticism. It is said that after the Persian emperor’s defeat at Salamis, Osthanes remained behind in Greece to become the teacher of the philosopher Democritus, an Ionian philosopher, born in 460 BC. The reputed author of seventy-two works, Democritus had apparently also visited Babylon to study the science of the “Chaldeans”, of which he is to have written on the subject. He summed up the results of his investigations in a Chaldean Treatise, another tractate was entitled On the Sacred Writings of Those in Babylon, and as a result of his visit to Persia, he wrote Mageia. One of the first alchemical works written was by a certain Bolos of Mendes, in the second century BC, but falsely attributed to Democritus. One of the texts accredited to him, the Leyden Papyrus, consists mostly of recipes, but in one passage, Democritus describes an incident of divine revelation from his former master Osthanes, in which he acquired his alchemical knowledge. In Hermeticism, as described in the Poimandres, typical to Hellenistic mysticism, the soul must ascend through the seven planets, and into the eighth sphere, where it may unite with God. According to the Poimandres, man must first undergo a spiritual death and resurrection, followed by an ascent through the spheres of the seven planets, leaving behind him in each of them part of his being, the part which the original man had received from the stars. Finally, he will be reduced to just himself, and can enter the eighth sphere, to join the powers assembled there, with whom he comes before the Father and enters God. vision of the Sun, symbolized by gold. i Lindsay, The Origins of Alchemy, p 324.
ii Lindsay, The Origins of Alchemy, p 324.
iii Lindsay, The Origins of Alchemy, p 324.